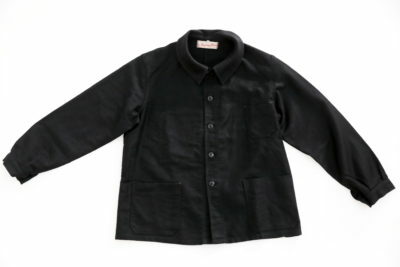 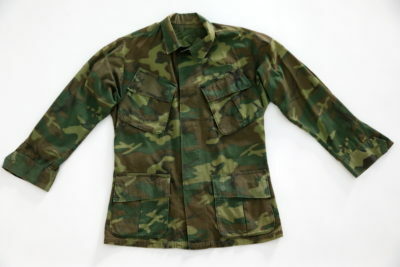 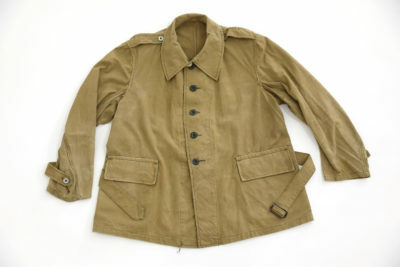 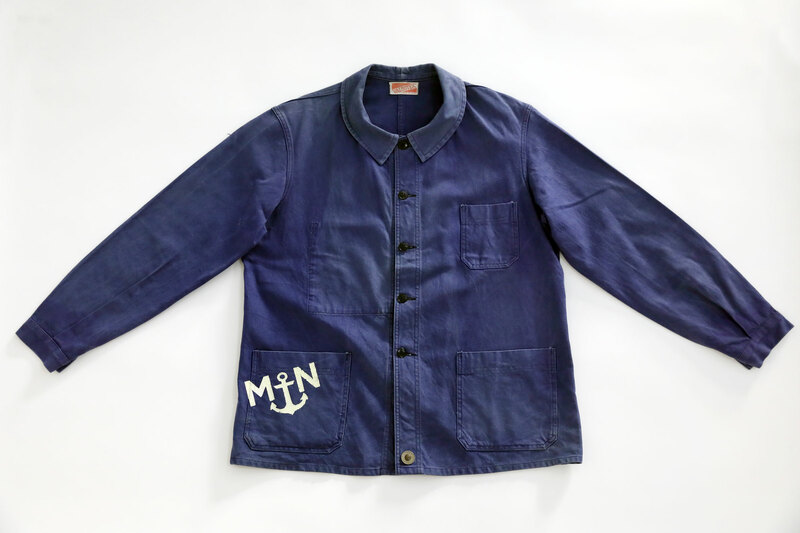 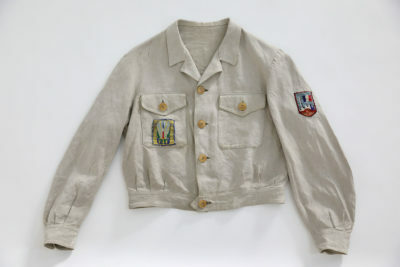 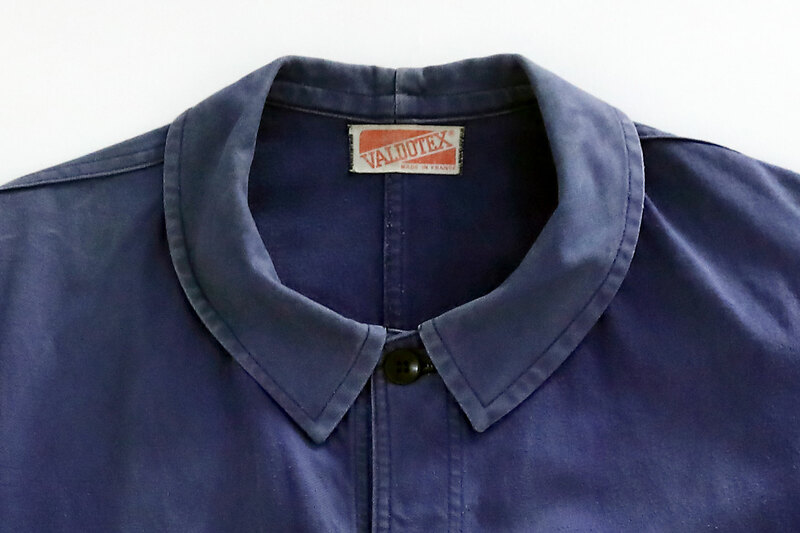 French blue chore jacket, from 1950’s, “VALDOTREX”, 100% cotton, plastic buttons, faded color, Made in France. 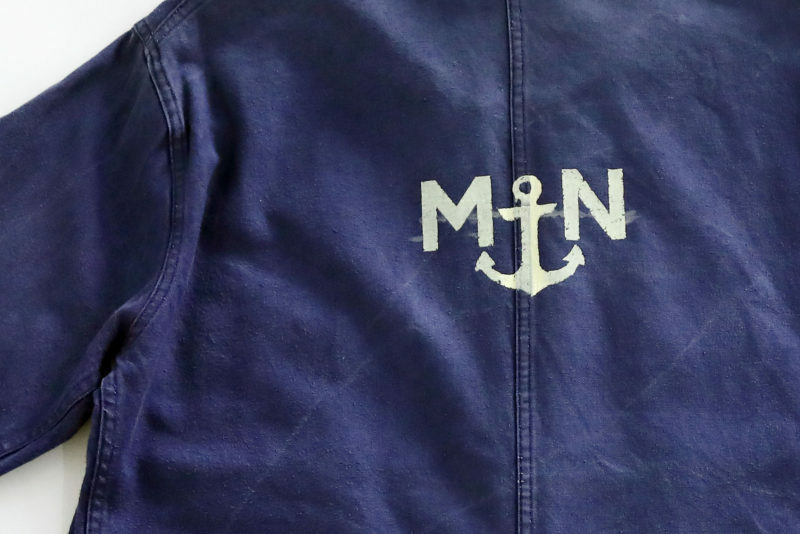 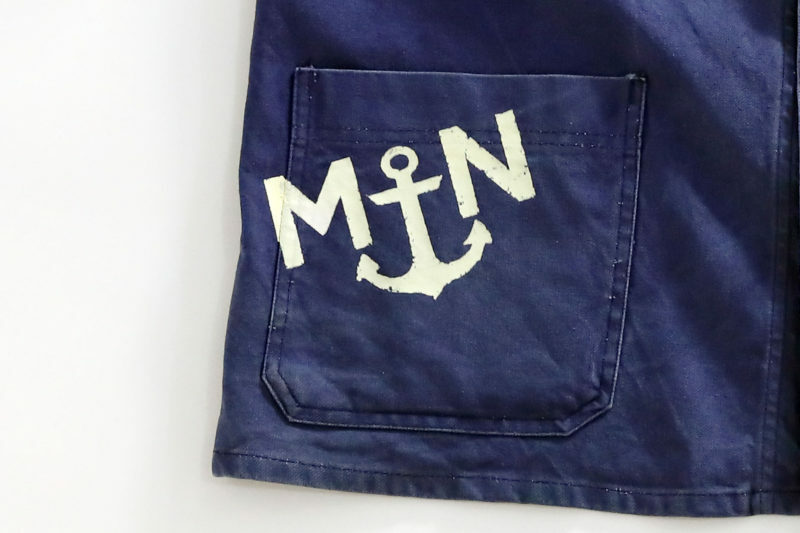 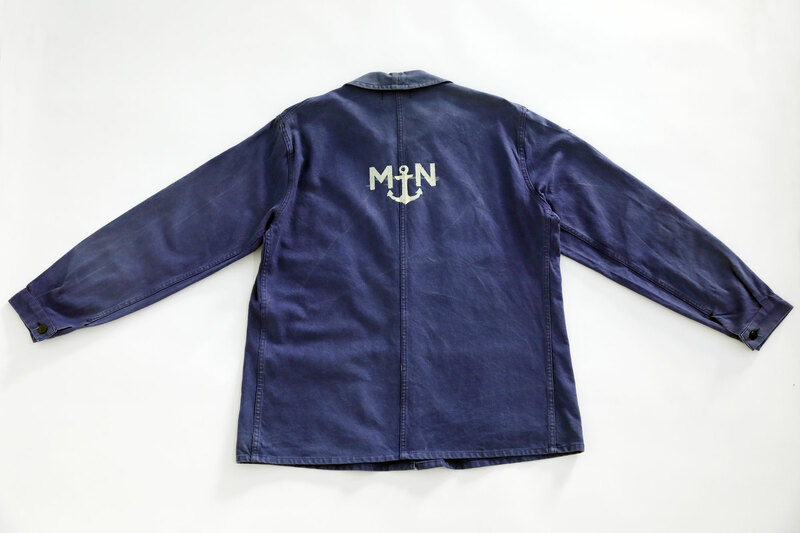 Hand made stencil by “Le Zouave”: MN / Marine Nationale. 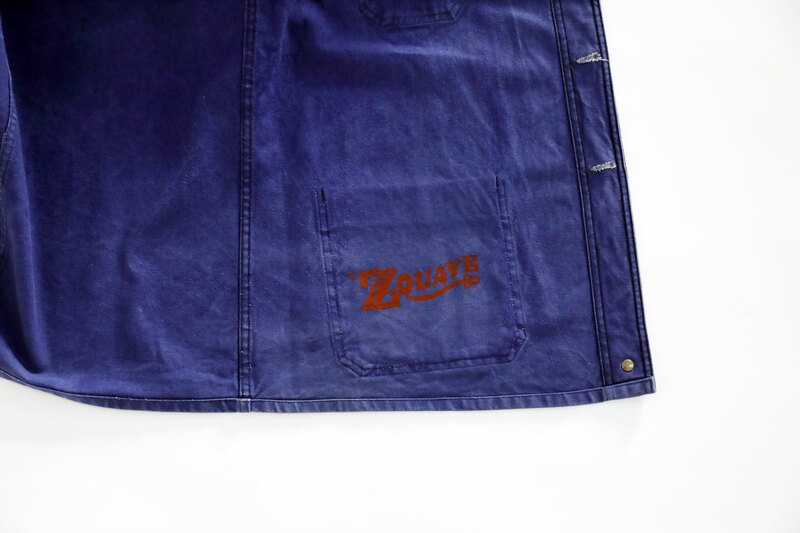 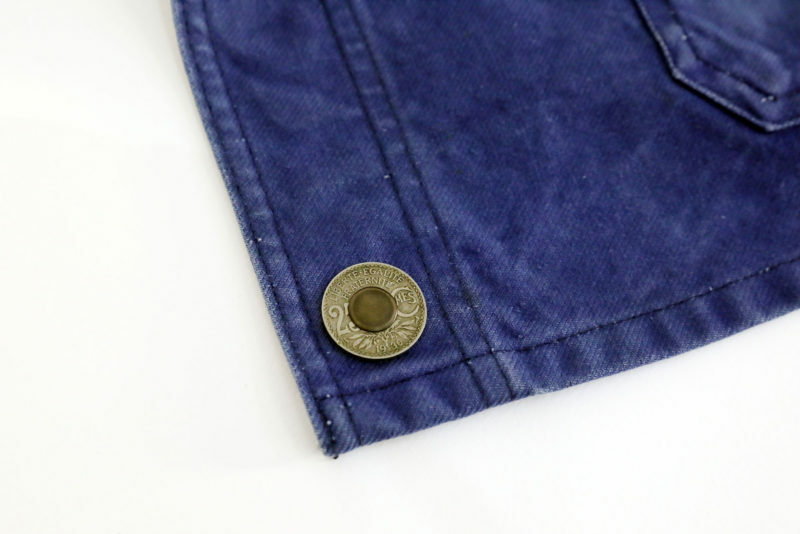 # WE BRANDED OUR PRODUCTS WITH A VINTAGE FRENCH COIN RIVETED.